It's not as exciting as the kayaking with seals last weekend, but the weather has warmed up considerably and I did get out on the water again. And yes, I did wear my wetsuit this time. Sheesh! What a bunch of worry warts! 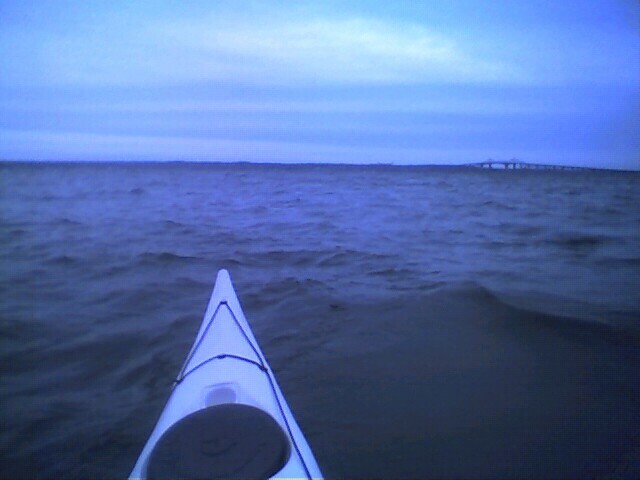 This was also the first trip with my new 17' sea kayak. I made an impulse buy when I decide to stop and poke around in the local kayak shop down the street from my condo. It turned out theywere having a sale and the sales woman was very helpful and friendly and as an added bonus, I discovered it came with a free 2 person tent as some sort of promotion. How cool is that? New kayak!!! Can't wait to see it! i've read ur juornal with lots of many kind of pictures. i wonder how lucky you are. it seems like you enjoyed the moments you had. by the way, have you married yet? cause your diary were only talked about yourself, i haven;t heard anything about you mention 'girlfriend' or 'a wife'. how old are you anyway? i just want to be friend with you, if you don't mind. i'm 35 years old. married with 2 childs. forgive me if my english is not verry good. if you have spare time, pls email me at: agustina_yeliana@mikatasa.com. thank you. GBU.